I watched the movie “How to Cook Your Life” on Netflix recently and really enjoyed the philosophy shared by the film’s subject, Edward Espe Brown. Brown is a Zen teacher and, according to Wikipedia, he is one of the founders of Greens restaurant, a critically acclaimed vegetarian restaurant in San Francisco. 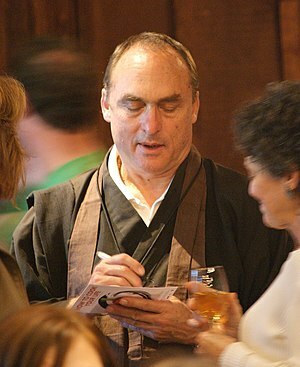 Brown was once the cook at the Tassajara Zen Center in Northern California. Here are some of the quotes Brown shared in the film…. It might be easy in our American black/white worldview to dismiss some of the things that Edward Espe Brown says as muddled or hokey or too “hippie.” Maybe they don’t align with the things you were told when you were small. But I think there is a lot of wisdom in his words if you open your mind. As I was blanching greens today in class, I thought about caring for those delicate, cooked leaves as if they were my own eyes. Cooked collard green leaves are very delicate and soft. They can tear very easily. But I put aside distractions and focused on the food. We were “only” blanching greens, but by caring for the greens and putting our full attention to them, we made them into something beyond ordinary. Chef Shahnaz told us that she spent a lot of time cooking greens at the Kushi institute, because it takes a long time to master the seemingly simple ways of preparing them well. 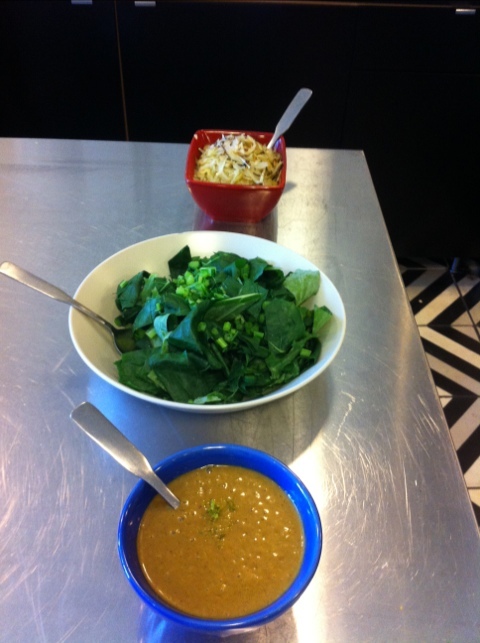 Below: Blanched greens I cooked with some teammates in class on Thursday. At bottom is a delicious dressing made in the VitaMix and at the top is a braised cabbage we cooked with cumin. Simple and delicious.